Listening: We tune in to our customers’ concerns and specific needs. 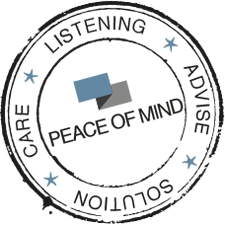 Advising: We provide guidance in-order-to select the option that best meets the needs of each family, professional, or business. Solving: We propose contracts in line with specific expectations and budgets. Supporting: We meet demands over the life of the contract and adapt our offering to shifts in the market and its environment. Peace of Mind: We offer our customers a sense of security and peace of mind through the actions of our partners and our monitoring efforts.